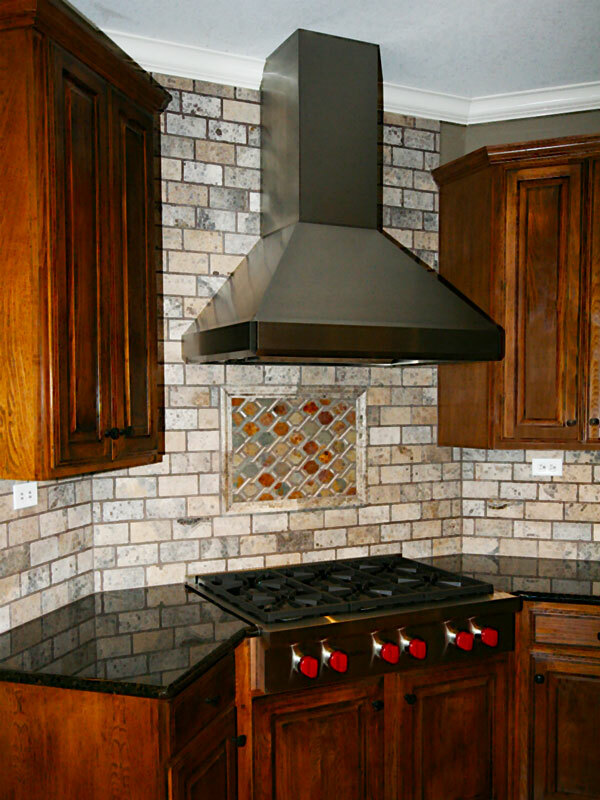 These vent hoods were installed along with new cooktops to blend with the architectural lines of the kitchen design. Both homeowners are friends in the Stone Oak neighborhood. 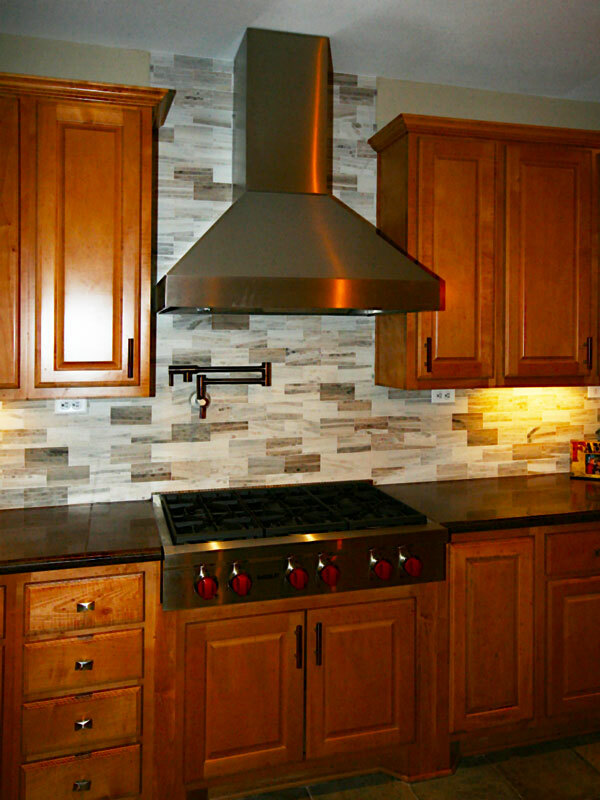 Cooktops were converted from electric to gas, a challenging process in many cases. 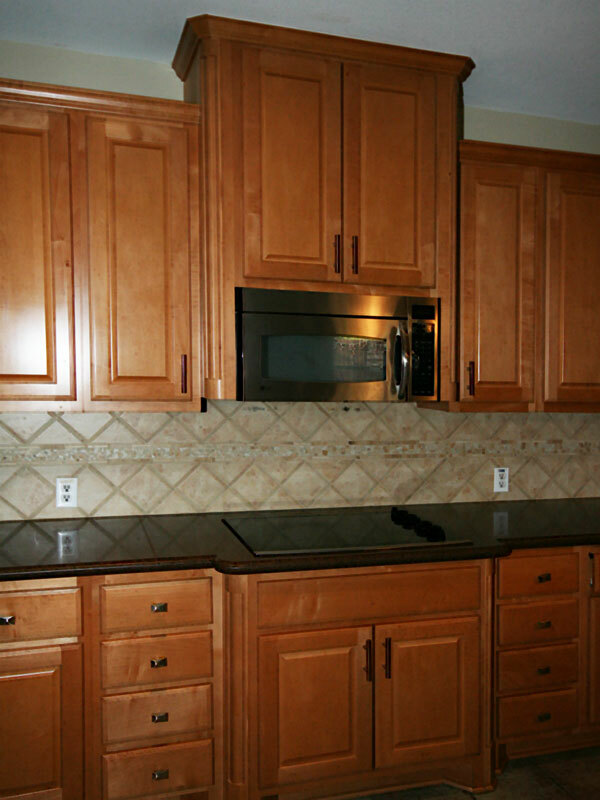 Backsplash was refinished with stylish stone selected by the homeowners. 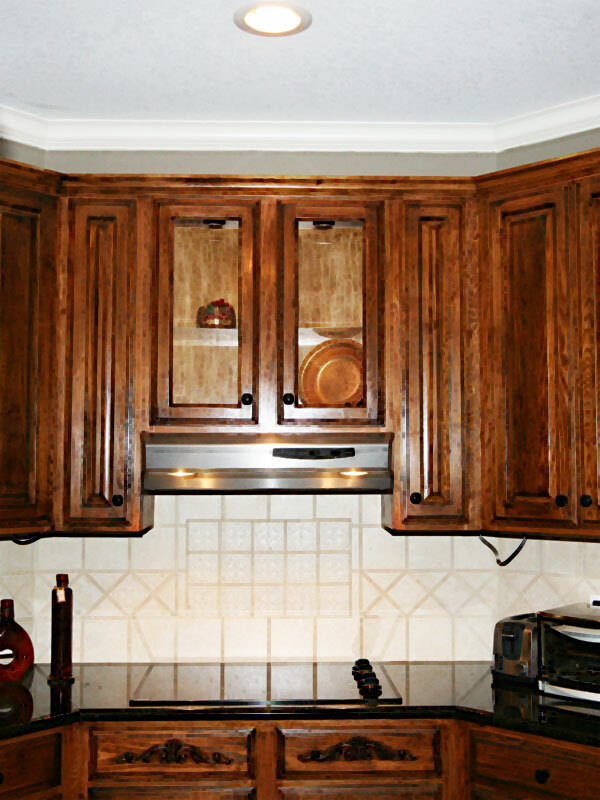 And a Potfiller was installed in one of the kitchens (view images left). After seeing our work at the first home, the second homeowner loved it and requested a similar custom treatment for her home. More than 90% of our projects begin as a referral from a happy homeowner.